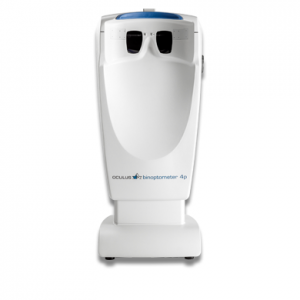 The VV1000 is used clinically by eye doctors in over 45 countries to evaluate cataracts, glaucoma, diabetic eye disease, contact lens performance, refractive surgery, etc. 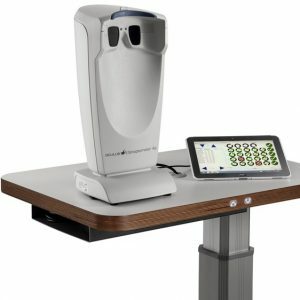 In addition, the instrument has been selected for use in numerous multi-center trials for the evaluation of contrast sensitivity, ETDRS acuity, low contrast acuity and glare sensitivity. These studies include those for PRK refractive surgery, contact lens evaluation, LASIK refractive surgery, athlete visual performance, visual impact of pharmaceutical treatments, etc. The patented CSV-1000 standardization insures that testing light levels do not vary due to changes in line voltage or due to bulb aging. No other vision testing instrument offers this standardization package. 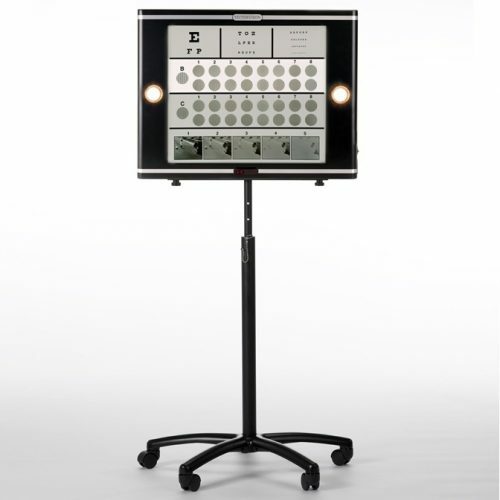 The VV1000 is the only self-standardized vision testing instrument. 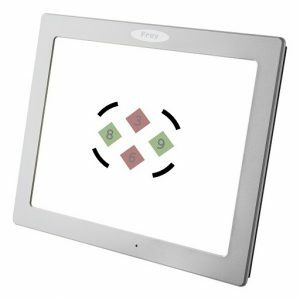 In each row of the device, photocell circuitry continually monitors and calibrates the instrument light level. This unique system senses both the external light striking the face of the instrument and the internal light which emanates from the miniature fluorescent bulbs. 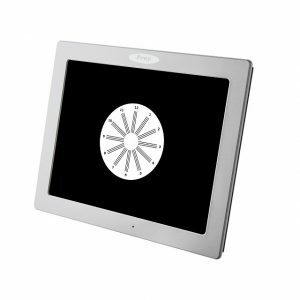 By measuring both light sources, the patented circuitry (U.S. Patent Number 5,078,486) determines the total light reflected from the instrument face and provides for a constant test luminance level of 85 cd/m2. The CSV-1000 is operated by wireless remote control so that each row of the instrument can be individually lighted for easier viewing by the patient. The VV1000 can be used with a variety of tests. The VV-1000 can easily rest on a table, hang on the wall or be used with rolling floor stand. The instrument can be easily transported from office to office or to out-of-office screening locations.